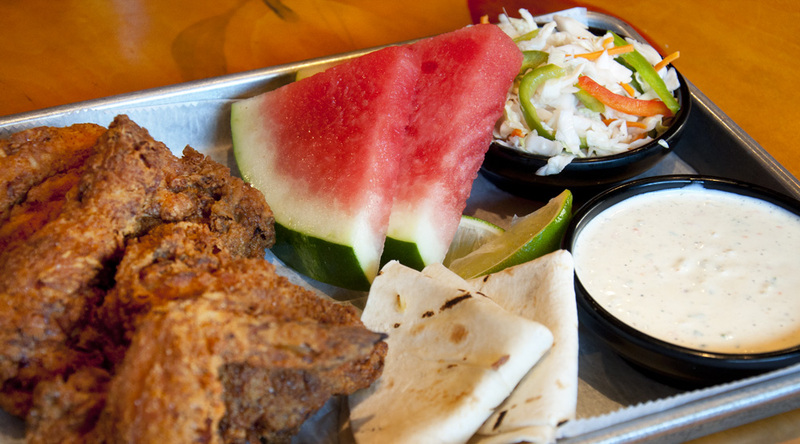 Every Thursday night, Kaya serves up a big fried chicken dinner. You get all the good parts from one half of a chicken – marinated in buttermilk, breaded in seasoned flour and fried crispy. This ample poultry portion comes with warm Reyna’s tortillas, along with a seasonal, weekly-changing sauce and side. See our Facebook page for Fried Chicken updates. The chickens are all-natural and locally raised.